The earth absorbs and stores the heat from the sun. A geo-exchange system allows you to use this energy to heat and cool your home and provide hot water. Even when temperatures outside fluctuate greatly or are below freezing, the temperature of the ground below your home typically remains stable allowing you to benefit from this stored energy year-round. Every year this stored heat in the earth accounts for 500 times more energy than mankind needs! This year-round system works by exchanging heat between your house and the ground. In the winter, the system brings up the warmth from the ground and circulates it through your home, while in the summer the system takes the heat from your home and moves it underground cooling it down and circulating it through your home. Not only is this form of heating and cooling environmentally friendly, it can save homeowners up to 70% on their monthly energy bill! Are you curious about the federal rebates and tax credits that may be available to you when you replace your traditional heating/cooling system with a geothermal one? Contact Twin Air today to schedule your free consultation and learn more! Call Twin Air today to schedule your free consultation and learn more! Twin Air is an IGSHPA Certified geothermal installer. 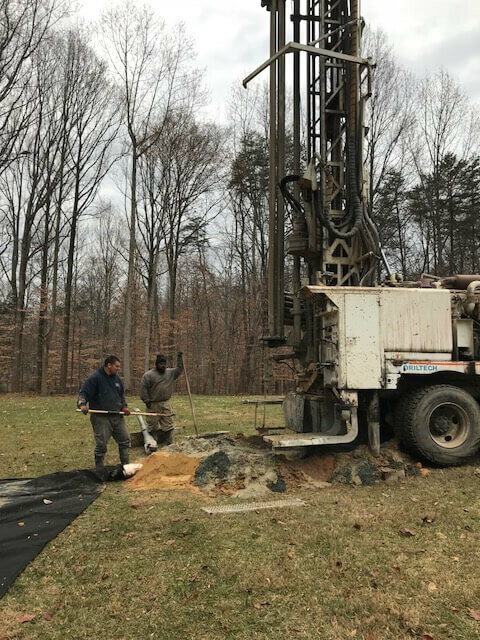 We have been successfully installing geothermal systems in the Northern Virginia area for many years. Installing a geothermal system for your home, is a big investment. Protect that investment by choosing Twin Air the company with the expertise to do the job correctly. Our knowledge and expertise is so well known in the industry that we have received calls to correct an installation from other companies. We provide you the peace of mind knowing that your geothermal investment will provide years of efficient and reliable service. Routine maintenance from Twin Air will keep your Geothermal system running smoothly. We even offer affordable maintenance plans, so that you can rest easy knowing your system is receiving the care that it needs. Some of our current geothermal maintenance clients switched to Twin Air after we were able to determine and correct the problem(s) with a competitors’ installation of their system. Contact Twin Air if you would like to learn more about the benefits of installing a geothermal heating and cooling system in your home.